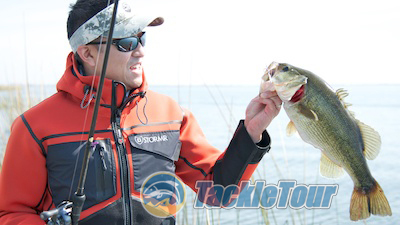 Introduction: It's not difficult to surmise bass fishing tackle makes up ninety percent, if not more of what we write about here at TackleTour. 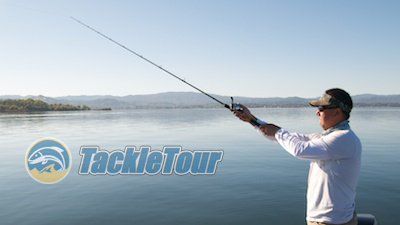 Going native with TackleTour is all about getting down and dirty comparing, testing, and evaluating bass fishing gear. Five years ago, we updated our ratings to reflect a more balanced, value weighted scale taking full advantage of the entire one to ten (1-10) scoring range. Thanks to our lab bring-up, and the acquisition of new testing equipment including The Machine. We've taken our GoNative theme to heart this year and feel it is time to add another wrinkle to our scoring system. Specifically, we're adding more detail to how rods and reels are scored in each category of our scoring matrix. 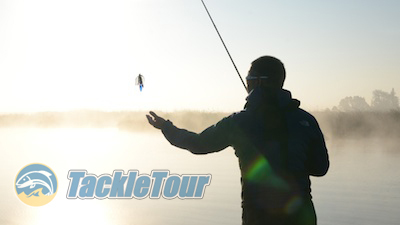 Going native with TackleTour is all about getting down and dirty comparing, testing, and evaluating bass fishing gear. The overall sensibility of our current rating scheme will remain, but now depending upon the specific rod or reel we're reviewing, the overall score in five of our six categories will be derived through a points system scored against a subset of actual performance and visual inspection attributes. Most of these subsets will be scored on a scale of one to five (1-5) with the score of three (3) representing a true "average" rating, four (4) "above average", and five (5) something that's truly exceptional. These steps are reflected in opposite direction on the other side of three with two (2) representing "below average", and a score of one (1) representing either a "fail" or a subcategory that was not addressed by the manufacturer - like a missing hook hangar on a fishing rod. It's not difficult to surmise bass fishing tackle makes up ninety percent, if not more of what we write about. For attributes whose evaluations are more black and white, for example is a rod's blank straight or not, we will reduce the scoring range to between 1-3 or even 1-2. Let's take a look at how it all breaks down. We've taken our GoNative theme to heart this year and feel it is time to add another wrinkle to our scoring system. 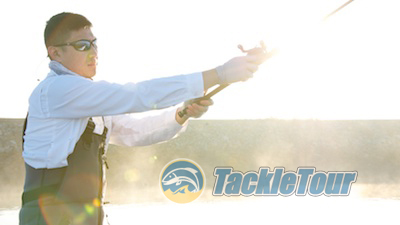 Few tools in the fishing world are as specialized as a bass fishing rod. Quality (25 Possible Points): This category of visual inspection is similar to what we might expect from quality control agents along an assembly line. This is an overall assessment of the product. Components or feature by feature inspections are addressed later. For a fishing rod, we will be scoring three attributes on a scale of one to five and two on the more black and white, one to two scale. Our first category of visual inspection is similar to what we might expect from quality control agents along an assembly line. For the three attributes scored one to five, we'll look closely at the consistency of a rod's finish, the cleanliness of its grip assembly, and the care to which epoxy has been applied to the guide wraps. The two, more black and white attributes are how straight are both the rod's blank and guide alignment. Performance (25 Possible Points) : Broken down to its most basic properties, a fishing rod is a tool that must allow an angler to cast or pitch their presentation, feel a bite, assist in setting the hook, and after the fish is hooked, work as one with the angler to tire and subdue the fish so it can be landed. We will award points, on a scale of one to five for each of these five attributes depending upon how the test subject performs. Price : Price point will continue to be a single score metric based upon how the product performs and how its price lines up compared to other similarly spec'd products. Just how well a rod casts is only one of several attributes we'll score individually within the category of Performance. 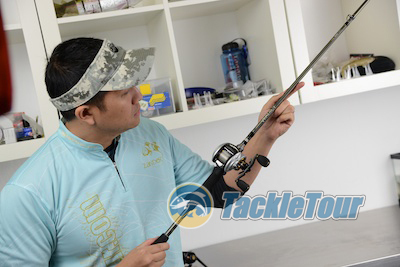 Features (25 possible points): Understanding that a fishing rod really only has a few basic features, we will score the quality, effectiveness and performance of the following features individually: the rod's grip material, guides, reel seat, hook keeper, and rod sleeve. If one of these features is missing from a product, a score of 1 will be awarded in that category. Design/Ergonomics (25 possible points): Upon initial inspection, this is where rods tend to distinguish themselves from one another and we all know how important first impressions can be. We score our initial design and ergonomics impression based on a rod's grip design, color scheme, balance, and weight. These evaluations are very subjective, but design and ergonomics is a very personal and subjective category. Application (25 possible points): It's become quite common for manufacturers to list on their rods the techniques and applications for which each stick is recommended. We're going to break this down in a different manner listing instead, the type of retrieves one employs through the range of different techniques recognizing that at its core, a rod is helping the angler apply one if not several of these retrieve styles during the course of their day fishing. How well a rod handles each of these retrieve styles tells us, in a broader sense, for what applications that rod is best suited. 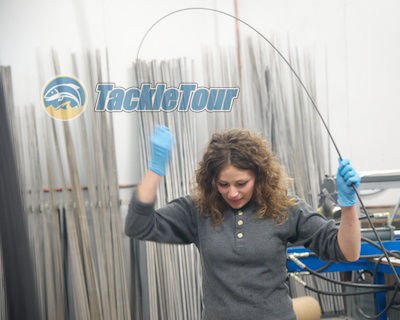 Instead of discussing applications in a broad sense of the term, we're going to score the type of retrieve for which a rod is suited so you can get a better sense of a rod's general capabilities.